Time to shower all of you with April Releases! Here are the anticipated releases for April 2012!!! April 1st- A wonderful literary talent (and I am not just saying that because I like to call her 'friend'), Vicky Dreiling, is releasing her 3rd book on this day. 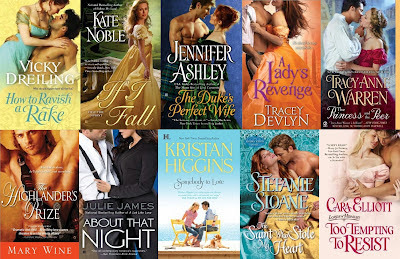 We've followed these two characters the moment they stepped onto the page in Dreiling's previous books, How To Marry A Duke and How To Seduce A Scoundrel, and now it's time for them to shine in their own love story! Amy Hardwick has one last Season to shake off her wallflower image and make a love match. If she can’t, she’ll set aside her dreams of romance and return home to a suitor who can provide security—if little else. What she doesn’t count on is the inappropriate—and irresistible—attention lavished on her in a darkened library by rake extraordinaire Will “The Devil” Darcett . . . When Will is caught in a tryst with the ton’s shyest miss, he knows he must offer for her hand. Yet Amy is not the shrinking violet she seems to be. Passion lies beneath her prim exterior and Will is eager to release it. But winning Amy isn’t simply a matter of seduction; first, Will must convince her that he’s mended his wicked ways . 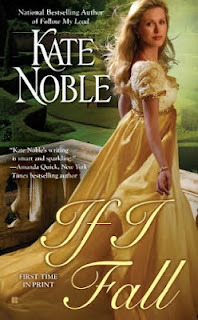 . .
After a duke's betrayal, the resilient Sarah Forresterreinvents herself as the Golden Lady: society's leading light, the beautiful and witty life of the party. It's all a façade of course-one that protects her from another intimate disloyalty. When her old friend, Lieutenant Jackson Fletcher, returns to London, he is determined to rediscover the true and trusting Sarah he once knew. It'll take more than a kiss and a promise. It might even call for an innocent and necessary deception. Sent to Scotland to be the king’s mistress and produce an heir, Clarrisa of York has never needed a miracle more. But the brusque Highland laird who kidnaps her is a bit too rough to be considered divine intervention. 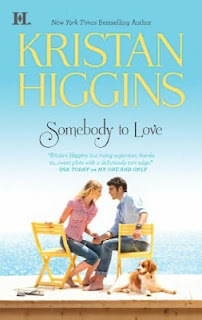 April 24th- Another contemporary, this one by Kristan Higgins, makes it to the anticipated releases list this month (crazy, right?). Then another amazing talent and friend to the blog, Stefanie Sloane, is releasing her fourth Young Corinthians title. 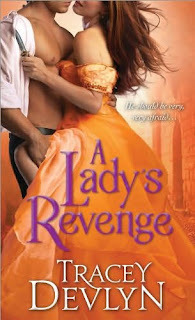 And I am getting a "Lord of Scoundrels' feel from Cara Elliott's latest- it should be good! In the Wolf's Lair . . . So I hope you enjoy this April's list! Are any of these on your radar? 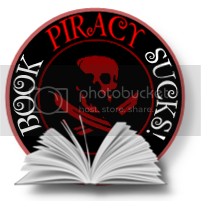 Are you craving that TAW book as hard as I am? Did I miss any releases? Don't be shy- Share! Drooling!! I want to read all of them!